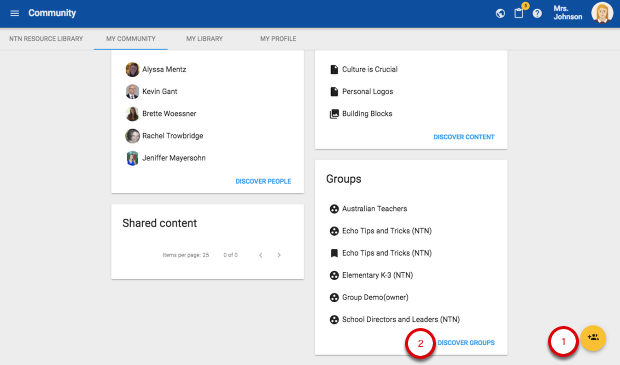 How do I Create and Search Community Groups? 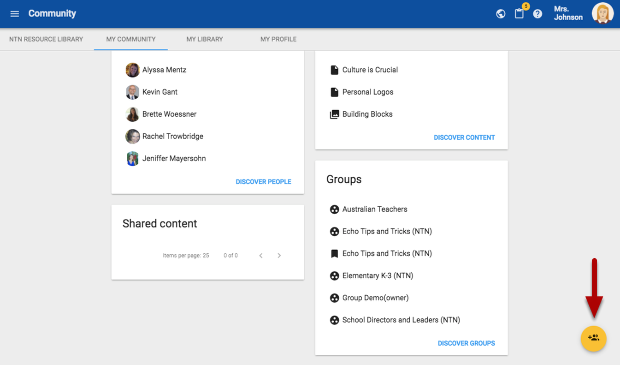 Groups are a feature available inside the "Community". Learn how to create groups via video. From this menu click "Community". Click on the "My Community" tab. 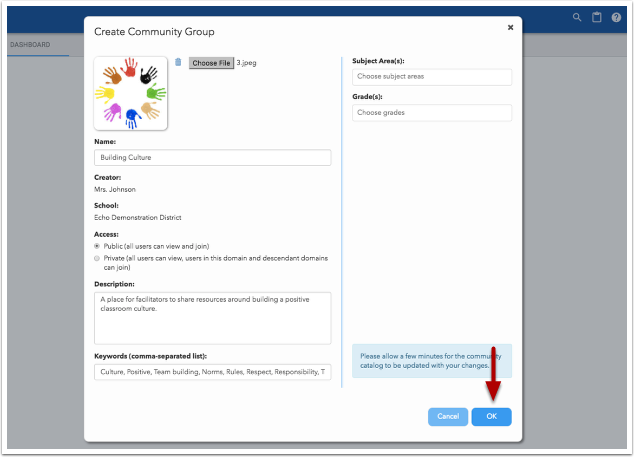 Within the "My Community" tab, click on the "Create group" icon. In this window fill out the information completely. Within the "My Community" tab, click the "Discover groups" button. 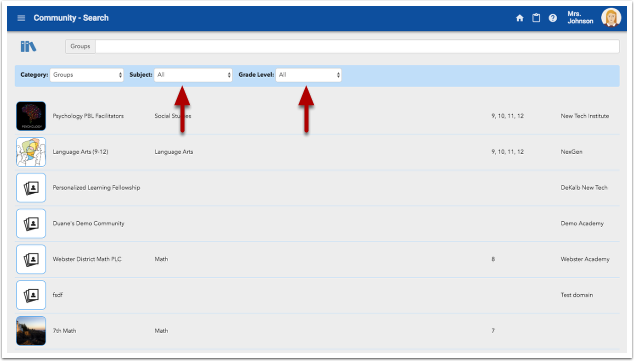 Search by "Subject" and/or "Grade level". 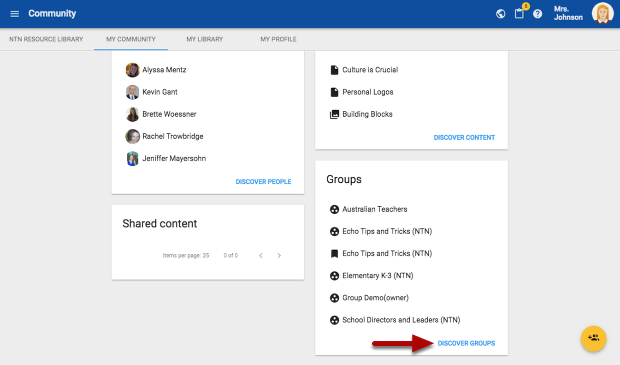 Click on a group. Get a reference number to share this group with a colleague. Bookmark this group. It will show up in the "My Community" tab. 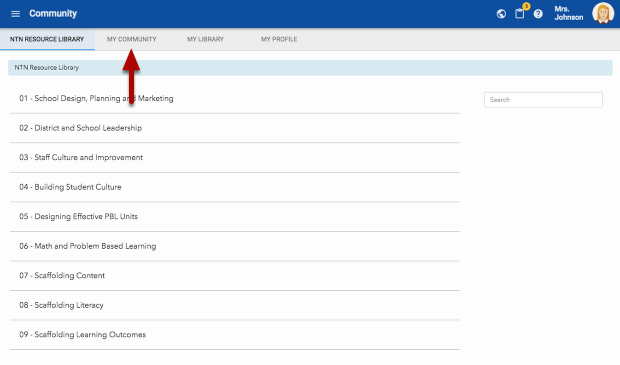 Use this location within a group to share, discuss, or ask questions with other members of the group. This location within the group shows the other members. Click on them to explore or bookmark their profile. Create files and folders to upload resources for sharing.